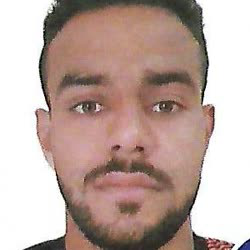 Nitin Tomar was born to a Farmer’s family in Malakpur, Uttar Pradesh, India. 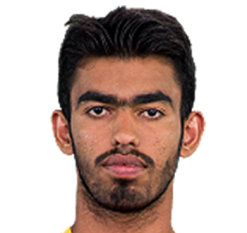 He considers former Kabaddi player Sanjeev Baliyan as his idol and motivation for him to be the best kabaddi player. 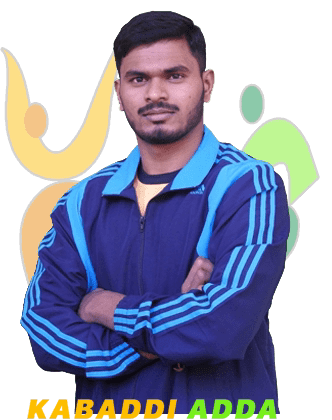 He played his first Junior National in Chhattisgarh and won Gold, making it one of his first accolades in life.He is extremely dedicated to the sport. 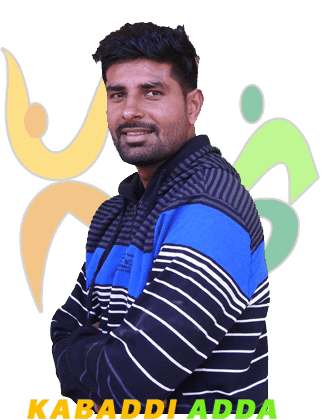 Ever since he started playing, he used to go to gym and fitness training in the morning at 4 AM and then to school and practice Kabaddi in the evening. His family supported him wholeheartedly and in return he supported them financially whenever he used to win cash prizes in local tournaments. 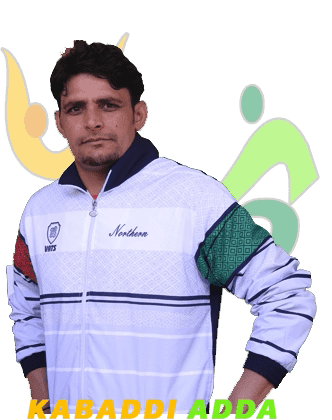 On the basis of his performance in senior national Kabaddi games in 2010-11 he was selected for Indian Navy through sports quota in 2012. Since then he represents Services in Nationals for Kabaddi. He believes in discipline in the game as well as in his life. He is always trying to learn from his senior players and keeps a never give up attitude. 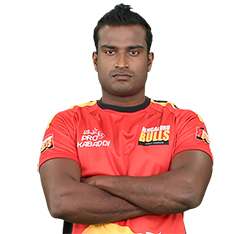 Nitin as a player and individual is very calm, cool and down to earth which makes him extremely likeable in any team. 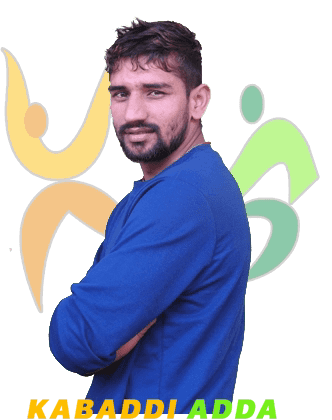 He made a breakthrough in Pro Kabaddi taking Bengal Warriors to semi finals in Season 3 and has played for Puneri Paltan and UP Yodha since then. He captained UP Yoddhas to playoffs last season giving all round performances throughout the season. He is one of the best left raiders in India currently and has all the advanced raiding skills. He was the most expensive player in PKL 5. He dominated the court with his Bonus, Escape, Turning and running hand touch skills. He is a very unpredictable raider due to the various skills in his arsenal. He uses his bonus skills very effectively which keeps the pressure up for the opposition. He is also very handy in defense as he can play as right corner.